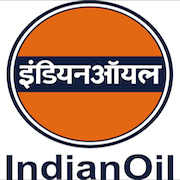 Online Application Details for Indian Oil Corporation Limited IOCL Recruitment of 1 Junior Materials Assistant and 2 Junior Engineering Assistant is given below. Application form and duly attested documents are to be sent to Chief Human Resource Manager, Barauni Refinery, Indian Oil Corporation Limited, PO: Barauni Oil Refinery, Distt. Begusarai. Pin Code-851 114. In envelope super scribed with 'Application for the Post of Post Name'.